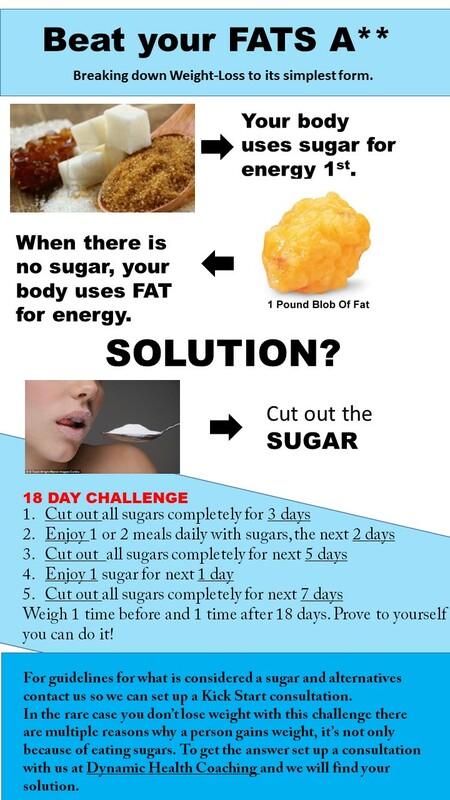 Losing weight can be very simple when you understand how to do it, and of course have the will power. Weight loss can also be extremely difficult if you don't know why your body is gaining fat in the first place. For the sake of keeping this blog very simple, the following image explains weight loss in its simplest form. How it works and we give you a challenge to follow for 18 days. What is considered a sugar? What are some foods I can substitute so I don't crash through the day? What else can I do during this challenge to amplify the weight-loss?